I bookmarked this recipe from Raks Kitchen long back.This is a very easy sweet to prepare in Microwave and delicious as well.Also it consumes very less amount of ghee compared to stove top version. Mix corn flour, sugar,food color and water together without lumps. Stir the mixture for every 2 minutes. and Anjali's Cakes cookies and Desserts. 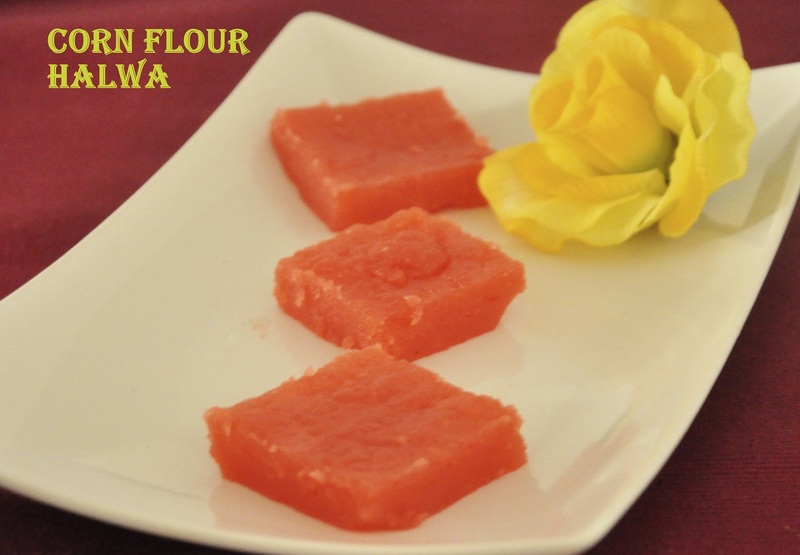 Cornflour halwa looks aweosme and delicious. I could not believe for a second, but your lovely bowls were great proof of that. Mindblowing recipe. You can link this to my ongoing event: Cakes, Cookies and Desserts. 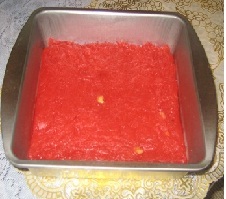 Very delicious n tempting halwa.. I remember seeing this recipe in Rak's kitchen! :) Halwa looks yummy!